A regional daily is teaming up with a Premier League football club to raise cash in honour of a goalkeeper recovering from cancer. Wolverhampton daily the Express & Star is joining forces with Wolverhampton Wanderers to recruit a ‘Wolf Pack’ to take part in the Great Birmingham Run for Cure Leukaemia. 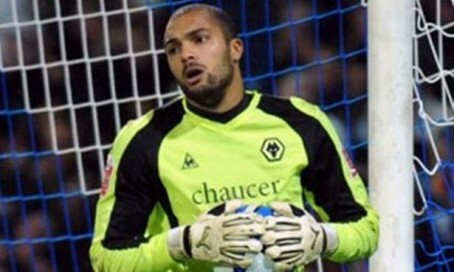 The campaign has been launched in support of Wanderers goalkeeper Carl Ikeme, pictured, who recently announced he is in full remission from acute leukaemia. Express & Star digital sport editor Nathan Judah ran the Disney Dopey Challenge, in America, for Cure Leukaemia at the turn of the year, raising nearly £4,000 in support of Carl. He said: “Everyone is thrilled that Carl is now in remission for leukaemia and I am excited to help recruit runners for Cure Leukaemia to further emphasise our support for Carl. “When I presented Cure Leukaemia with the funds I raised from the Dopey Challenge earlier this year it was inspiring to hear how every penny will go towards directly helping patients like Carl. The run will take place on Sunday 14 October.